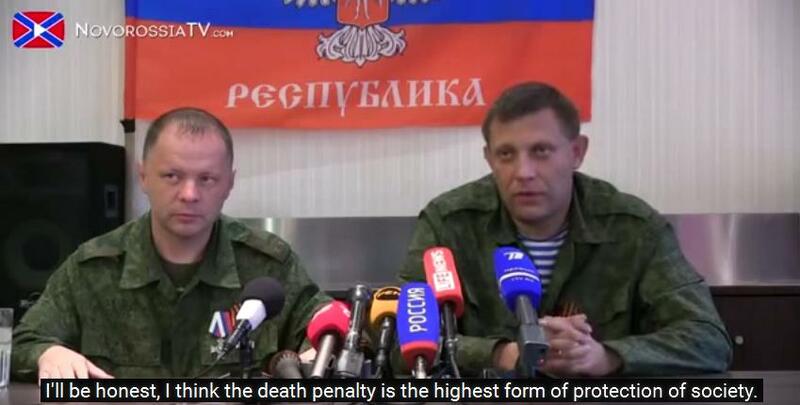 The Head of the Donetsk People's Republic, Alexander Zakharchenko, proposes to impose the death penalty as the highest penalty for corruption. "What I was thinking about, and what I'm going to do it in the near future, is that I will tighten up the laws that deal with corruption, and the punishment will be very serious. You know that we have an order for the imposition of the death penalty if necessary, or its application, to be more precise, as a measure of social justice. I think that corruption will now fall under this," Zakharchenko said in an interview posted on his official website. He noted that consultations on this issue have already been held with the People's Council of the DPR. "We split over some of the nuances of the wording of this law, but these are technical points and we will solve them. 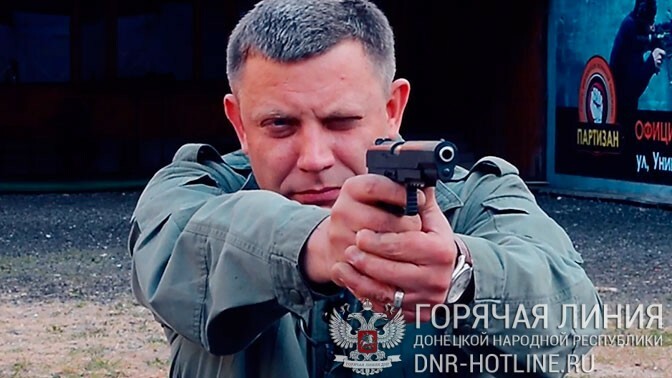 Depending on the harm that the person has inflicted on the state, they will be punished according to the laws of wartime - the deprivation of life, that is, the death penalty," Zakharchenko added. 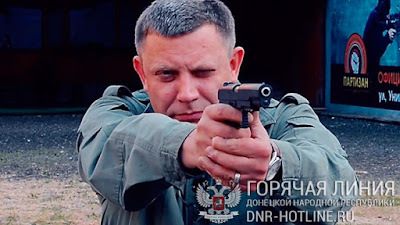 The head of the separatist, self-proclaimed Donetsk People’s Republic (DPR), Alexander Zakharchenko, said during the broadcast of Donetsk Format TV program, that he plans to introduce the death penalty for corrupt officials. "I have been thinking about it and I'm going to do it in the near future. I will toughen laws that deal with corruption and the punishment will be very serious. We will issue an order imposing the death penalty if necessary. More precisely this will be the highest measure of social justice. I think that corruption will fall under this as well. Depending on the harm caused to the state or society, one should be punished according to wartime laws by the death penalty," Zakharchenko said. According to Zakharchenko, he has already held consultations regarding this issue. "I have already held a number of consultations with the People's Council, as well as with the head of the People's Council, who were fully in agreement. There were disagreements concerning some of the nuances of the wording of this law, but these are technical issues. 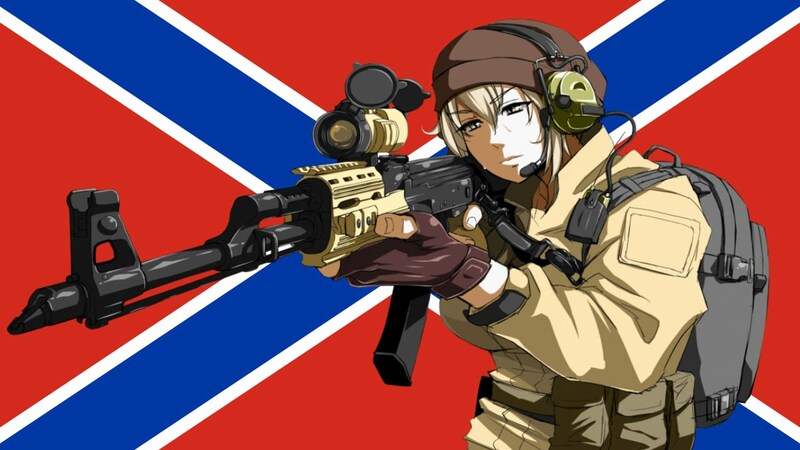 I think that we will quickly solve them," Zakharchenko said. 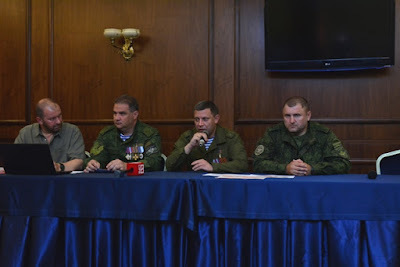 Speaking during the same program Zakharchenko said that has not given up on the idea of seizing Kyiv. The leader of the People's Democratic Republic of Donetsk, Alexander Zakharchenko, announced the need to impose the death penalty for corruption. Such a statement was made on the TV program "Donetsk format." "In the near future I'm going to do it - toughen the laws that deal with corruption ... You know well that we have a decree on the use of the death penalty as the supreme measure of justice. And, I think, corruption will fall under this definition. Depending on the harm caused to society, corruption will be punished by the laws of wartime deprivation of life. I have already held a number of negotiations with the People's Council, I have received full understanding. Only in a few nuances, the wording of the law, was disagreed with, but this is a technical issue, we must solve them," Zakharchenko said. "Without a doubt, corruption is a disease of any society. There is no specific drug for this disease. Approaches to eradicate all of its, in the DPR are very rigid. At a certain point, I decided - regardless of rank and merit before the Fatherland, corruption must be ended, "- said Zakharchenko.